Solar energy is the most accessible type of renewables for the general public! 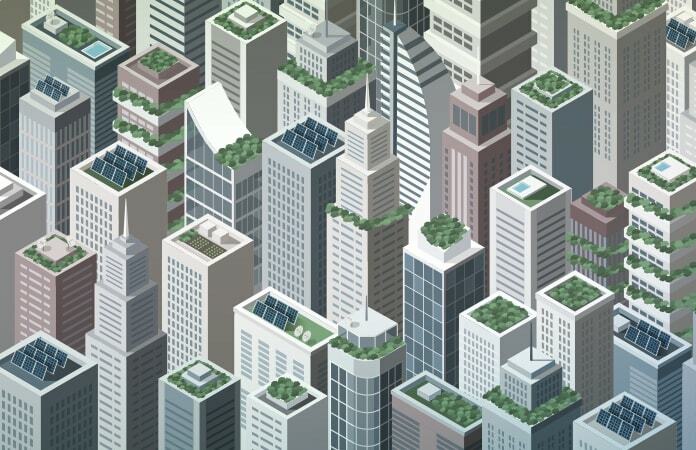 Alternative “green” energy is on the rise everywhere across the world, and solar power’s share of the green market is growing rapidly in many countries just as it is in the United States. 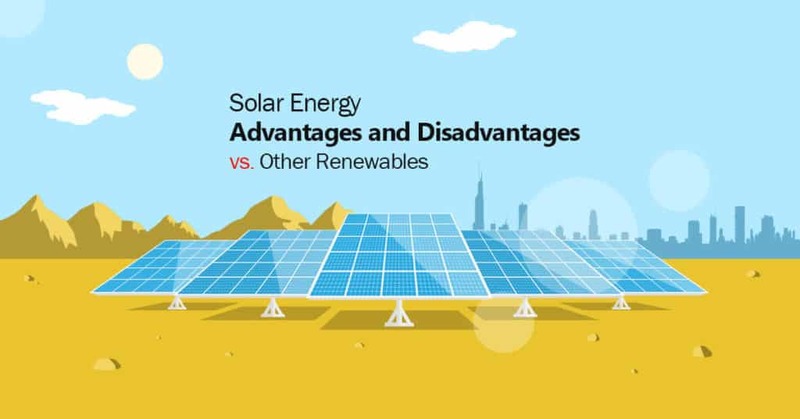 For those who have not yet adopted solar energy, the balance between solar energy advantages and disadvantages is apparently still a critical factor to be weighed before switching. Sustainable development is now at the forefront of social and political agendas. From the huge international development projects financed by the World Bank and the International Monetary Fund to more local development underwritten by your regional banks, it’s doubtful that funding is even available to projects without a sustainable energy plan. We, as modern citizens need to compare the advantages and disadvantages of many renewable power sources like bioenergy and geothermal energy, hydroelectricity, wind, and solar energy before settling on the final choice. It’s a question of what fits our needs best and under what conditions. Solar energy is here to stay, and it has changed the power industry, its business model, and the way electricity is delivered to the grid. Once, the words “public utility” or “power company” conjured images of giant monolithic public or private corporations that owned huge power plants with tall smoky chimneys or cooling towers of reactors. Today, the monolith is gone. Over the last decade, power companies have divested themselves of their generating capacity and have morphed into “line owners,” buying power generation from the lowest bidder—even from their former generators. This has happened in more than 50% of all power markets across the United States, and solar power made it happen. Solar energy has taken the lead in overall green energy sources. There are many advantages of solar energy. 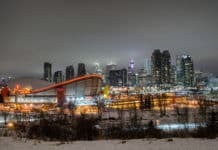 Among these are its accessibility to most homeowners and, today, to millions of citizens who don’t own their own homes as well, and its increasing affordability. 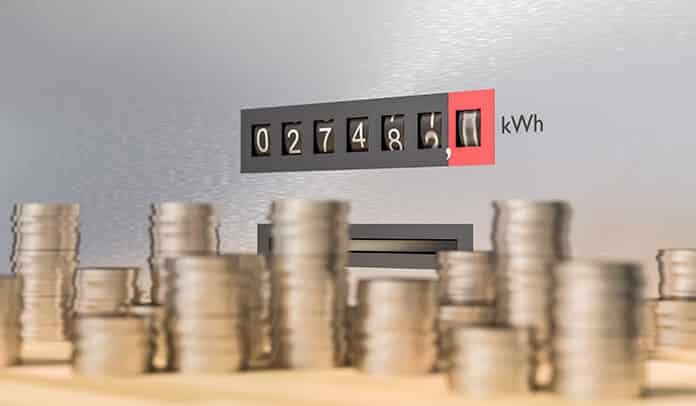 The cost of purchase and installation continues to fall, and there are new contracts in the marketplace, as providers offer lease-to-buy options while still offering energy below the prices offered by conventional utilities. The times are changing, and solar power is changing them. Below, we will summarize solar energy advantages and disadvantages with comparisons to other types of renewables. After reading the content below, you will have a better understanding about solar energy pros and cons, and you will know more about why solar energy is the better choice to go green for the general consumer. Before learning solar energy advantages and disadvantages—how do solar panels work? The principal advantage of solar energy: Nearly everyone can adopt directly! Solar power panels can be seen just about anywhere throughout the United States and, increasingly, the rest of the world. Oddly, there are people who still aren’t really certain how it all works. Some even think the heat of the sun is used to make steam. Here’s a quick guide to how solar panels work and what happens inside our homes. Generally, solar panels are made up of multiple modules of crystalline silicon cells. Silicon is a natural semiconductor. Each cell is made of two layers of cells—the negatively charged N layer and the positively charged P layer immediately below it. When light waves (photon particles) strike the layers, the bonds of the silicon atoms are disrupted and energy is generated. To see how, we suggest to watch this short video named “How do solar panels work” developed by TED, which has gained more than 2 million views since it was published. - Goal 7: Ensure access to affordable, reliable, sustainable and modern energy for all. - Goal 13: Take urgent action to combat climate change and its impacts. Solar energy holds a number of significant advantages over other alternative energy sources in that individuals can invest in their own power generation. While there is an initial capital investment, those costs are dropping dramatically. And with major advances in home-based energy storage, the benefits of solar energy are increasing, and the advantages of solar energy are becoming more and more obvious year after year. All across the United States, the cost of solar power installation is dropping. The 2018 price has dropped 6% compared to the previous year. 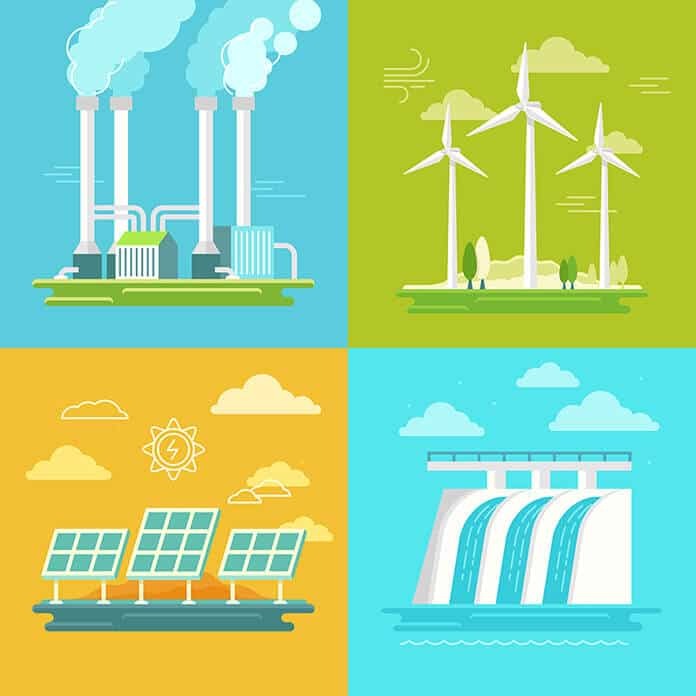 There are many forms of alternative energy production: bioenergy and fuels, geothermal energy, hydroelectricity, and wind energy. All of them are “green,” and all of them are capital- and technology-intensive. In most cases, they are developed as large-scale utilities by governments or large corporations. Ranchers and farmers can invest in windmills for power (mostly to drive water pumps in wells), but none of these can serve the residential market (homeowners or apartment dwellers). Only solar power offers individuals affordable access through either the installation of home solar units or through a contract with a commercial solar power provider. 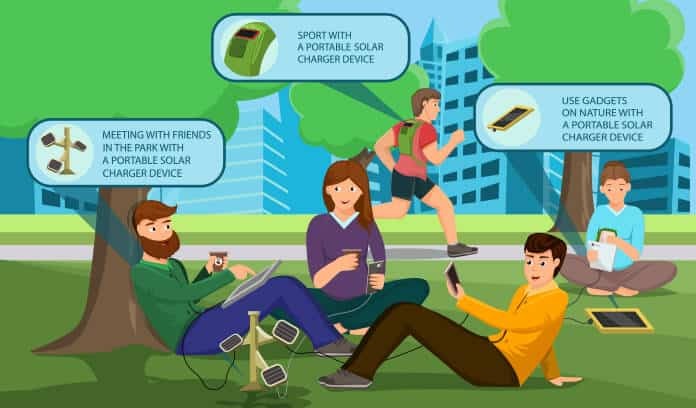 Actually, there are many uses of solar energy in our daily life, as there is also a huge variety of solar-powered consumer products available to easily adopt solar energy and a greener life. These include portable solar panels, solar-powered chargers, and solar lights. Plus, new ones are coming to the market every day. Therefore, among various solar energy advantages, the principal one is that nearly everyone can adopt directly. Moreover, besides conventional solar cells, other technologies like perovskite solar cells and solar photovoltaic (PV) glass are offering brighter hopes. Though still in an early stage of ongoing research or with limited commercial availability, they are constantly improving and maturing. With solar photovoltaic (PV) glass, your windows can help power your home and still offer that panoramic view! Those applications will continue to grow as builders incorporate PV glass into homes, office buildings, and high-rise towers. All a building has to do is present one face to the sun—and all of them do. Even though some people prefer not to see it, most people in the U.S. and around the world understand climate change and the need to cut our carbon emissions. People know the oceans are warming and rising. We see that the sea ice, north and south, is vanishing. So are the glaciers and the fresh water that feeds our rivers and streams. It’s not really about policies or regulations. People WANT to make a difference, and even the major power industries have begun to embrace greener living. Every year, more people want to fulfill their responsibility and meet the challenges laid out in the United Nations’ Sustainable Development Goals 7 and 13. The goals aren’t so very complicated, and there is a lot that ordinary people can do. It’s true that billions of people still need to burn wood, coal, or even animal dung for heat and cooking, but here in the developed world, we can choose to reduce our own carbon footprint. We can choose to invest in solar homes and, for some, solar-powered businesses. If we can’t install solar panels for the home, we can select regional solar power providers and use the wide variety of solar panel kits, solar-powered lights and electrical chargers that are available today. Climate change is impacting the whole world. The impact is global, and every nation and all people are affected. Climate change doesn’t recognize borders, and no country is immune. It is absolutely critical that the guidelines of the Paris Agreement be followed in every possible way. The agreement sets practical and attainable goals for the reduction of greenhouse gases. Even when a national government refuses to honor the agreement, many states and cities do! In the U.S., 17 states including New York, California, most of New England, and the Mid-Atlantic States, among others, along with dozens of U.S. cities and corporations, will remain in compliance with the Paris Agreement and its goals. All of us can use our power to tell the governments of our cities and states to do that, too. The third advantage of solar energy is that installing solar power panels makes you a producer and reduces the electricity you get from your local utility. That, of course, reduces your bill, but there’s a lot more than that. Solar panel installations are a two-way affair. When the owner generates more power than they use, in-home energy storage units get charged. And today, they come with programmable control units to hold their electricity and sell the excess back to your local utility during peak demand hours when the prices are highest. For all the concern about high energy costs, few people actually take the time to understand their power bill. You don’t just get billed at one average rate. Power companies charge more for power during peak demand hours (generally during the day), and they charge less per kilowatt hour at night when demand is lowest. Modern control panels assure that homes and businesses rely on their self-generated solar power when demand is the highest to either reduce and sometimes eliminate the power drawn from your utility—and that’s when they sell the power, too. When demand is lower (after dark), homes depend on the utilities when it’s cheapest. If there is power remaining in storage, that gets used to reduce even those costs. Few home-based solar power units generate enough power to entirely eliminate the power people buy from their utilities, but it does happen for those who invest in bigger arrays. The average solar unit in the U.S. is about 5-6 KWs. How much you will save depends on how big your array is, the capacity of your storage system, and the seasons—and, of course, where you live and the sunlight available to you. Among the pros of solar energy, a significant point is that going solar brings a degree of independence from extreme weather events. This solar energy advantage means that when heavy snows and winds bring down power lines or a lightning strike takes out power poles and transformers, solar owners will still be generating their own power. Those solar panels on your roof provide resiliency against the elements! It doesn’t take a superstorm to knock out the electricity. We have an aging power grid, and many above-ground lines have been there for a quarter of a century, and in some places, those lines can be 40 years old or more. Increasing capacity is a big expense that many utilities don’t want to pay, while upgrades to support new development and power needs often get put on hold. During the hot summer months (and those summers are getting hotter), “brownouts” occur with increasing frequency. Solar power owners can rely on their solar panels and storage systems to see them through when their neighbors have gone dark. Many people take a look at those “glass panels” on the roofs and envision shattered glass, hazards, and huge repair bills. These hardly happen. Solar cells may be relatively fragile, but they are protected under shatter-proof tempered glass with a flexible substrate protecting the cells. Even hail storms hardly cause anything more than minor damage. Today, mounting systems are engineered to withstand major storms, and they’re customized by manufacturers to the climate conditions in different parts of the country. Manufacturers design, test, and certify their panels to withstand winds of 140 miles per hours. A category 5 hurricane has winds above 136 mph. It’s a good bet the solar panels for your home will survive all but the very worst storms. Most manufacturers provide a 25-year warranty for their panels, and installers carry insurance on their work. There are maintenance costs, cleaning and such, and each manufacturer provides detailed instruction on the care of their particular units and wiring. You should look at all that, and often, the installation firms offer service agreements. New technologies are entering the market, allowing people to monitor the performance of their solar technology along with their home appliances. Living on Internet of Things (IoT) monitoring services, 5G network, and new control systems offer the chance to fine-tune a home or business to gain the largest rate reductions and credits from their local utility. Efficiency is the name of the game, and soon, homeowners will do the tuning through a mobile app. Solar panels aren’t the ultimate answer for everyone. For one thing, you need a place to put them. If you own your home and thus have your own roof or property to install an array in the yard, great! For people who live in apartment buildings, the prospects aren’t so bright, but there may be other solutions including choosing a regional solar power provider. There is indeed a higher start-up cost, and going solar does mean taking the longer view. But the costs are falling dramatically year after year, as panel production and installation increases all across the country. As mentioned above, the cost of purchase and installation dropped below the 2017 prices by 6%, and in 2018, solar costs will range from $11,380 to $14,990 (after tax credits) with an average cost ranging from $2.71 to $3.57/KWh. That changes the equation for many people, and the costs should continue to decline. There will always be an initial investment confronting homeowners who want to go solar, but an ever-creative industry is coming up with new marketing strategies to drive the business forward. One of them is a new lease-to-buy option sponsored by manufacturers and supported by installers in their vast networks. Under these plans, professional installers will come to your home, design the proper solar panel system for your particular needs, install the system and accomplish your interface with your local power company, take care of all permits and licenses, and, in the overall, reduce the cost of getting solar power by about 50% of today’s cost. Homeowners don’t get the tax rebate that installers and manufacturers do—but the homeowner gets the savings (between 10 and 30% of the present bill) with little and sometimes NO capital costs up front. Most leases run for 20-25 years, and at the end, the owner may renew the lease or purchase the solar unit outright. Solar energy isn’t the answer to every power problem everywhere in the world. Weather and location on the globe play roles in how efficient a solution can be provided by solar energy. Less sunlight will be available in places with more clouds and rain, and, of course, in northern latitudes, while the sun never sets in the summer, it also never rises in the winter. Nevertheless, solar power is growing in the U.K. (lots of rain) and in Sweden, one of the lands of the midnight sun. Research from Sweden reveals an interesting fact: While there is less light during the spring and autumn, solar panels are more efficient in cold weather! Who knew? Solar power may never gain huge reductions in power bills in such places, but installations are growing all across the United States, even in the northern tier. Among the cons of solar energy, pollution and environmental impacts are concerning many modern citizens who want to go solar. But all energy production creates some level of environmental impact. It’s unavoidable and nothing’s perfect. Solar cell production uses a number of toxic metals such as lead, gallium arsenide, and cadmium. But these toxins are used inside production plants where strict environmental controls govern the operation, and none of it enters our environment. There are other impacts, too, like transportation and installation, but again, every power source has that. The wind may be free energy with no pollution, but someone makes the windmills, and even geothermal power requires pipes, converters, and turbines. The key issue is that solar energy provides power with no direct impact on global warming. It’s a good choice for you to fulfill your social responsibility. There had been difficulties with sufficient customer service, and part of that came from the more mobile (some would say transient) nature of the solar installation business. All of that has changed over the last few years, along with the industry’s investment in training and what is becoming a nationwide standard of industry best practices with support from the U.S. Department of Energy. As the solar industry has grown (nearly 300,000 Americans work in the industry, mostly as professional installers), those firms have become much more permanent. And with better-established warranties from manufacturers and service contracts being offered by the installation firms, the quality of the installations and customer services has improved greatly. However, buyers still need to get bids from multiple firms and check out their reputation (you wouldn’t get a new central air system from one unknown company, would you?). Through an understanding of solar energy, the expansion of the solar industry has been enhanced and accelerated. Although plenty of solar manufacturers, suppliers, or consultancies have appeared in the market, local customer services are not sufficient enough to help professionally solve customers’ questions like personalized solar estimating, financing, installation, or daily maintenance. But, with the help of constantly advancing modern information and communications technology (ICT) and innovative business models, solar customer services will definitely better satisfy every solar customer’s needs. After learning about solar energy advantages and disadvantages, even though there are still some cons of solar energy the industry keeps maturing. As we can see in lots of solar news, solar technology advancements like improved conversion efficiency and increased storage capacity continue year after year. The industry itself is investing heavily in excellence and cost-cutting as a result of the competition in the energy industry and for the consumer dollar. 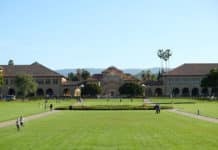 New marketing mechanisms are rolling out as fast as the technology, and solar installations are growing throughout the United States because of it. Meanwhile, the pros of solar energy will be with us forever. The sun is an inexhaustible resource, and for that day when our sun does finally give out (about 5 billion years in the future), we won’t have to worry about it. For now and into the future, solar energy will offer many more advantages than disadvantages. The wind is a wonderful source of power in certain locations but not others, and commercial wind turbines span 200 feet or more and can cost millions of dollars. Very few people have a backyard that can accommodate a wind turbine, and even then, wind is inconstant and is preferred to solar in only a few select locations. Bioenergy holds great potential if you have massive amounts of biodegradable material, a chemical plant, and no sense of smell. Chemical plants, conversion units, and generators really don’t work well in a home. Geothermal energy systems are very efficient and harvest the natural renewable energy of the earth—if you live next to a geyser. A few people in Colorado (and a few more in other places) could take advantage of this resource, but the heat still needs to be converted to energy we can use. Hydroelectric power stations require rivers moving down precipitous drops to gain enough momentum to power a dam’s turbines. While new low-dam power generators have been designed to generate power without fast-moving water, you still need to live next to a river to tap its power. Few of us can do this, and each of those generators cost about $1.5 million before the first watt is generated. They’re great for small towns and not so good for homeowners. Solar energy is the most accessible type of renewable energy for the general public and for an individual to adopt a greener life directly. There are so many options, and more arrive every day. Each new technology is a call-to-action for those who care . Have you gone solar? Post and share your solar lifestyle with people around the world on Instagram, adding a hashtag #solarenergy! Switching to solar power is a big decision for those who would buy and install their own units on their homes. As always, you should contact several vendors (they will each represent different manufacturers with different requirements and installation processes—so do some research), and have their designers produce estimates for your particular installation and to help choose the best solar panels for your home. Today, there are trained professionals who can assess your needs and the engineering involved and produce trustworthy estimates. Get several of them. Be sure to get a copy of their warranties, license agreements, and insurance certificates. Get recommendations from their references and really check them out. Additionally, you can learn more details about the solar equipment or installers from review platforms like BestCompany, ConsumerAffairs, and SolarReviews. Ask about whether there are incentives or subsidies available for residential solar power installation from your local and state government, and check any federal tax credits as well. It can help to lower your initial solar investment. 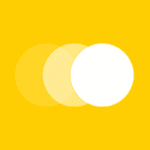 Obtain more information about the solar companies you may contract with. Many quality companies have joined regional and national professional associations. After learning the solar energy pros and cons, you’re clear about the fact that there are many flexible ways to go solar, not limited to a solar power generation system on your rooftop or in your yard. 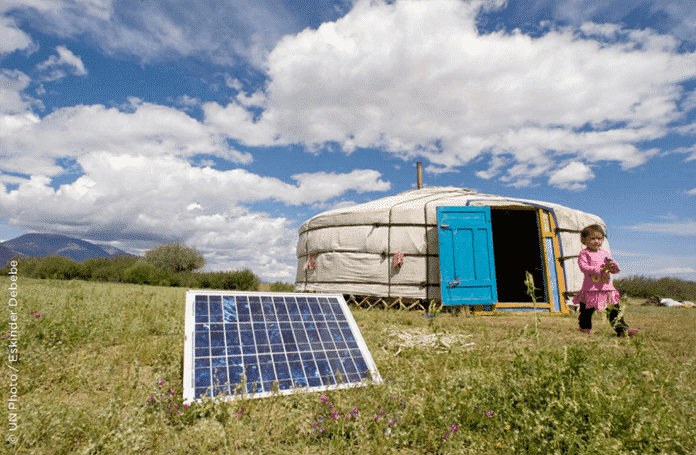 Other stuff like solar kits, solar lights, portable solar panels, solar chargers, and solar water heaters are also great options for you to initiate your solar energy dream and become a sustainability enthusiast. If you like this article, please share with your friends who would be interested in learning more about the uses of solar energy and to encourage them to go solar together. Traditional sources of electricity, such as coal and oil, emit byproducts such as carbon dioxide, sulfur dioxide, nitrogen dioxides, particulate dust and mercury. Each of these byproducts is associated with known environmental challenges, including global climate change, acid rains, smog and contaminated fisheries, according to the Union of Concerned Scientists. Solar panels can reduce this pollution by lowering the energy needs of every dwelling they power. This means solar is the future for everyone.